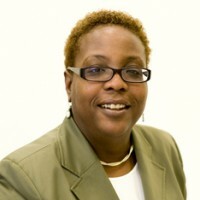 Michelle Johnson is an associate professor at Boston University, where she teaches courses on multimedia journalism. She was previously an editor at The Boston Globe. Johnson, Michelle. "Mobile-first design." Nieman Journalism Lab. Nieman Foundation for Journalism at Harvard, 20 Dec. 2013. Web. 22 Apr. 2019. Johnson, Michelle. "Mobile-first design." Nieman Journalism Lab. Last modified December 20, 2013. Accessed April 22, 2019. https://www.niemanlab.org/2013/12/mobile-first-design/.